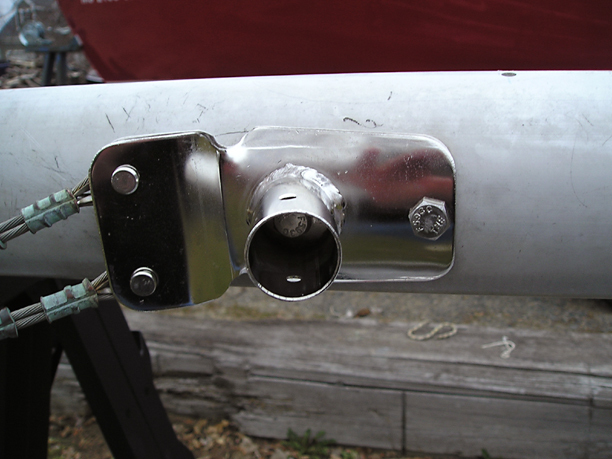 I've now replaced the new sheaves that came with the new masthead with 1/4" sheaves, the wire halyards with 1/4" StaSet-X line. I've added a spinnaker crane this year while I'm at it. 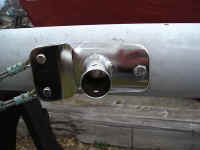 Another view from the top of the mast. 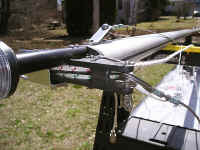 I've still got to remount the Windex and the VHF antenna. 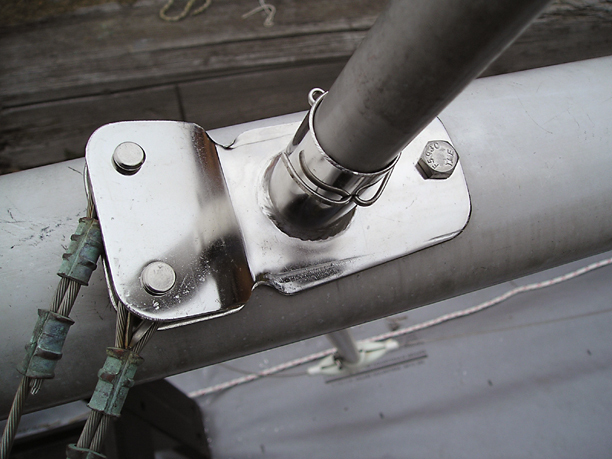 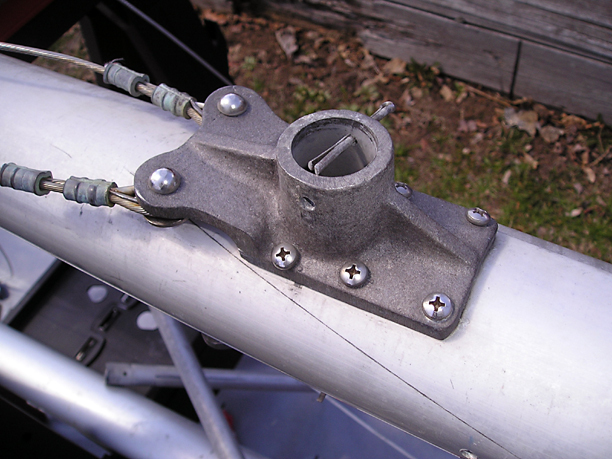 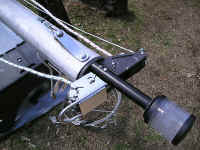 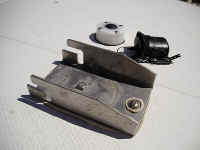 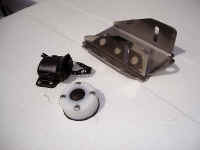 A view of the old-style mast step plate from the starboard side. 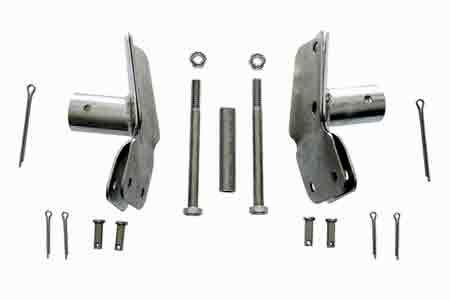 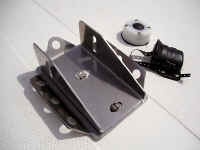 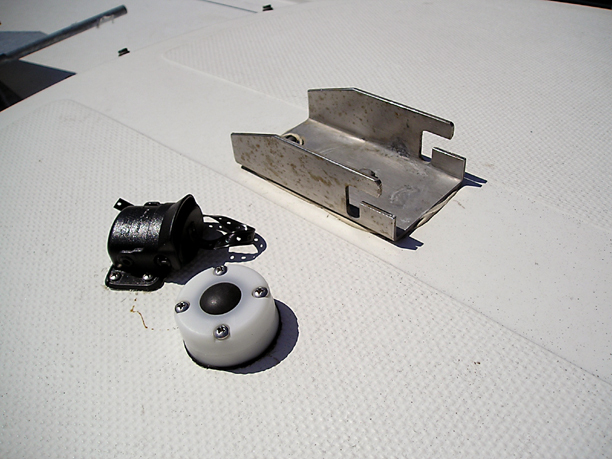 The new mast step and halyard plates, from the starboard side. 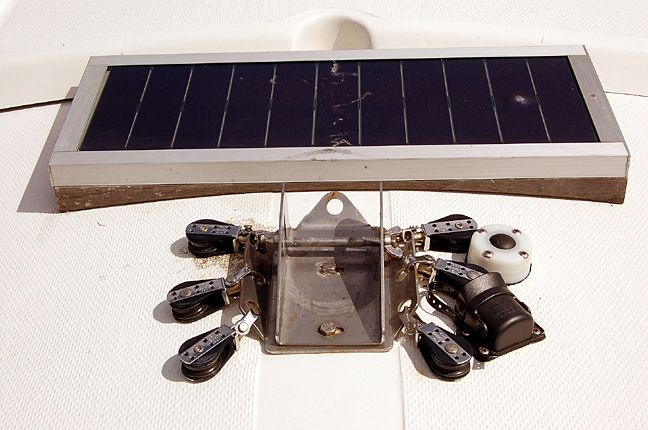 The mast step, turning blocks, and deck connectors (with the solar panel behind) -- April, 2007. It's never-ending ... but the best times are again growing even closer yet!